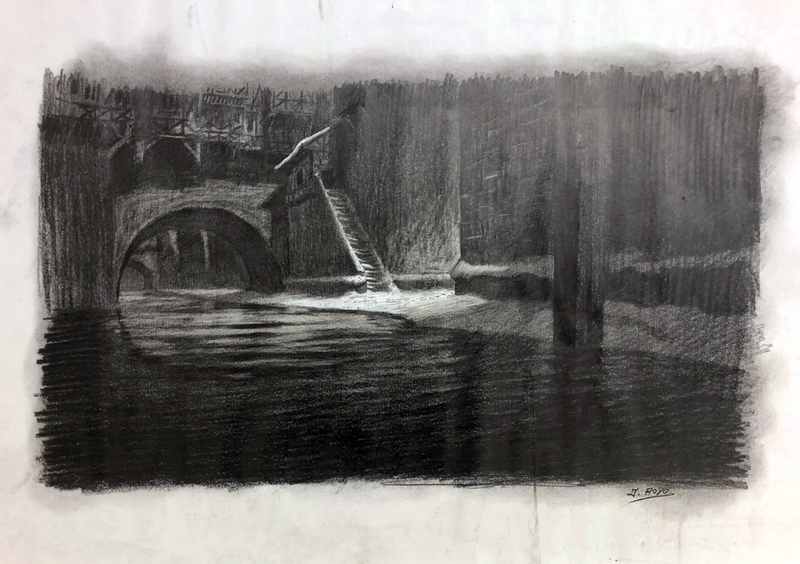 This is an original Joaquim Royo Morales concept drawing from the Walt Disney Studios production of The Hunchback of Notre Dame (1996). 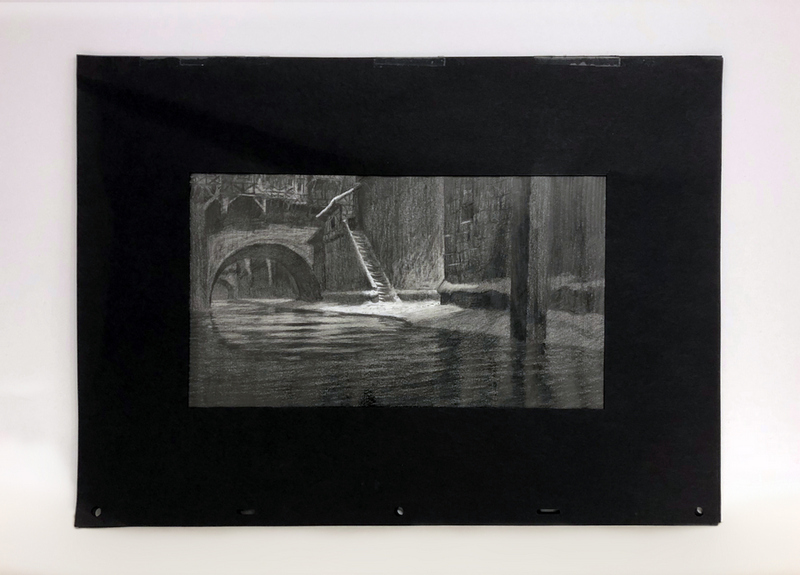 This stunningly detailed background development drawing features a very atmospheric environment design, and was created at the studio and used during the production of the film. The overall measurements of the piece are 12.5" x 17" and the image itself measures 7.5" x 13". 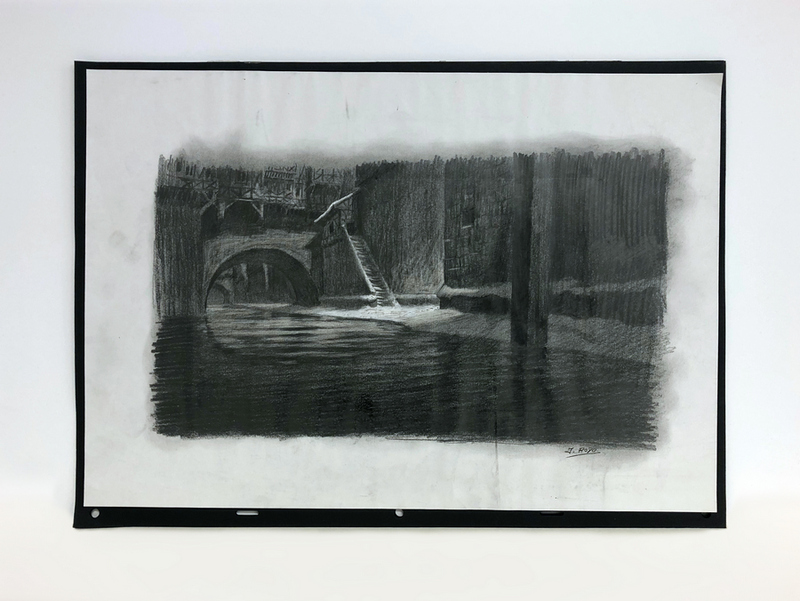 The drawing is completed in graphite on paper and has exquisite draftsmanship and shading.